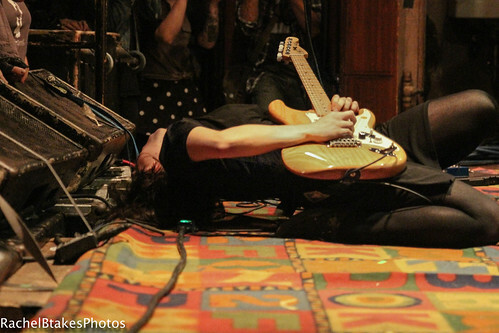 Don Giovanni Records fall tour, which slated Screaming Females, Waxahatchee and Tenement together, made its final stop at First Unitarian Church Sunday night. The tenacious twosome of Katy Otto and Diane Foglizzo, a.k.a. Trophy Wife, kicked off the show with a quick intense set demonstrating the duo’s raw power while setting the bar for the rest of evening. Amos Pitsch-fronted Wisconsin punk outfit Tenement were next. The set included moments of guitar flourishes and Pitsch glistened with effort; however, the set seemed to flash with the blink of an eye. 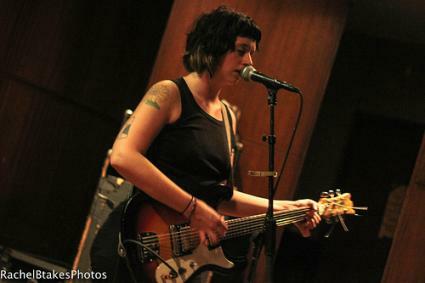 Hometown favorite Waxahatchee, a.k.a. Katie Crutchfield, wasted little time putting the crowd underneath her thumb with songs primarily from her latest critically acclaimed LP Cerulean Salt, a steady combination of emotive intimacy and controlled aggression. The delicate nature of “Bathtub” transitioned into the energetic pop vibe of “Coast to Coast” with its bursting percussion, and then Waxahatchee displayed a different side with the darkened edge of “Misery Over Dispute.” The subdued “Lively” preceded a fitting cover of “Make Your Own Kind of Music,” which was written by Barry Mann and Cynthia Weil and made famous by Cass Elliot. 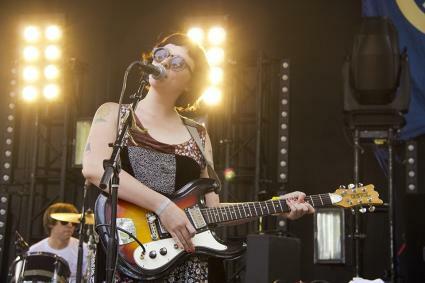 Closing with “Peace and Quiet,” Waxahatchee delivered a multifaceted set, pulling the audience in close as Crutchfield held them with every word. 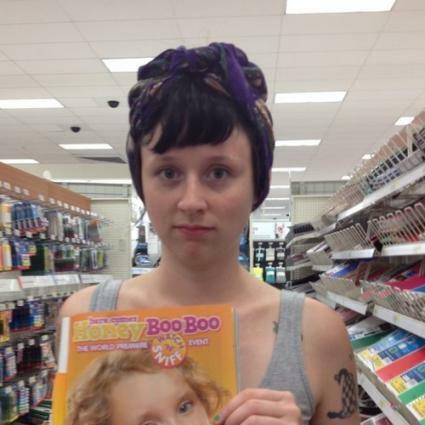 Here's Waxahatchee, a.k.a. Katie Crutchfield, showing of her tap-dancing skills in a new music video for "Misery Over Dispute." Yeah, you read that right. The black and white video was directed by Joshua Mikel. 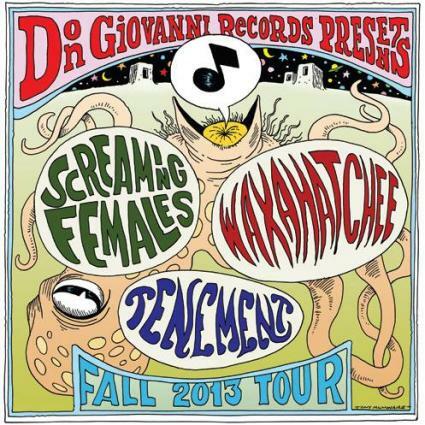 Waxahatchee will be performing next in Philly on September 29 at the First Unitarian Church with Screaming Females so grab your tix because that's going to be a rad show.